In this article, I want to go into detail regarding the Divergent channels treatment. I am indebted to the attention and detail proposed by Miki Shima and Charles Chace in their book, The Channel Divergences, Blue Poppy, 2001 which I recommend for those seeking more and deeper information. By putting the yin-yang partners into balance, internal stress is reduced and zang-fu functionality is enhanced. Clinical application of Divergent channel treatment is rarely discussed in the modern TCM world, but Japanese acupuncturists revived and embellished the treatment during the 1970s and 1980s. Nei Jing (Ling Shu, Chapter 11) does not indicate at all what the function of these channels are, only the routing. It establishes the relationship of the yin and yang partner-channels of the six divisions. The term Jing Bie (经别 jīng bié) has stayed in use as the general term for the Divergent Channels, although “Branched Channels” would be a more accurate translation. What we take home from the original Nei Jing description is the routing, placement, and sequence. These six pairs later were called Confluences, and the Nei Jing order became First Confluence (BL-KI), Second Confluence (GB-LV), Third Confluence (ST-SP), Fourth Confluence (SI-HT), Fifth Confluence (TE-PC), and finally the Sixth Confluence (LI-LU). Ling Shu Chapter 11 mapped out a general routing of the paired Confluences with places of intersection or crossing. Names of specific acupuncture points were not given, only general anatomical locations, such as “descends again to reach the Triple Warmer and scatters on the chest”, or, “ascends to communicate with the pharynx and links the root of the tongue”. Only later were specific acupoints names given. Miki Shima sums up the general routing in the following diagram. (More specific locations with acupoints can be seen in Hamid Montakab’s diagrams at the end of this article.) Basically the Divergent channel “diverges” or branches from the main channel to join with their yin-yang partner channel and organ. 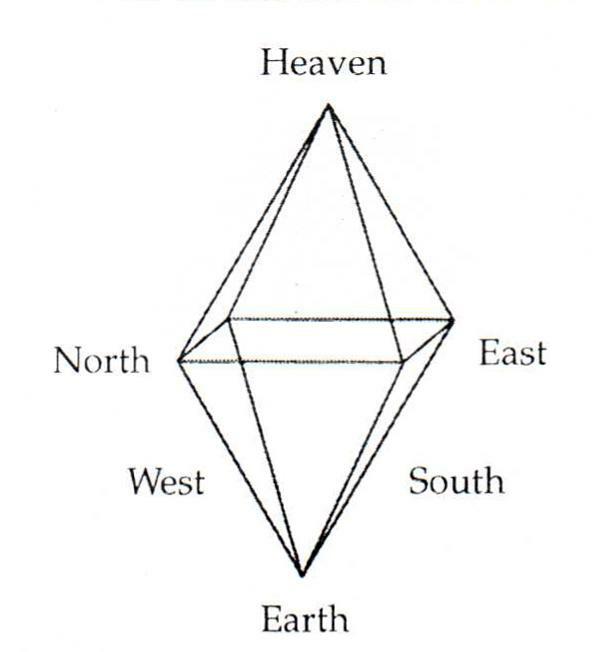 The order of the Nei Jing Confluences, for me, lead to several interesting observations. The first is that the pairs are anatomically in sequence, from lateral to medial. Starting with the foot, the most lateral pair of channels are BL and KI, then GB and LV, and finally, most medially is ST and SP. The same Confluence sequence, also lateral to medial, is found in the hand: the most lateral is SI and HT, then TE and PC, and finally, most medial, is LI and LU. 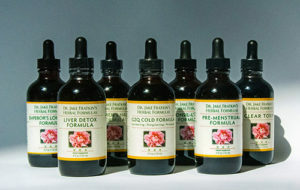 The Divergent channels regulate the distribution of qi, blood, yin, yang and fluids throughout the body. 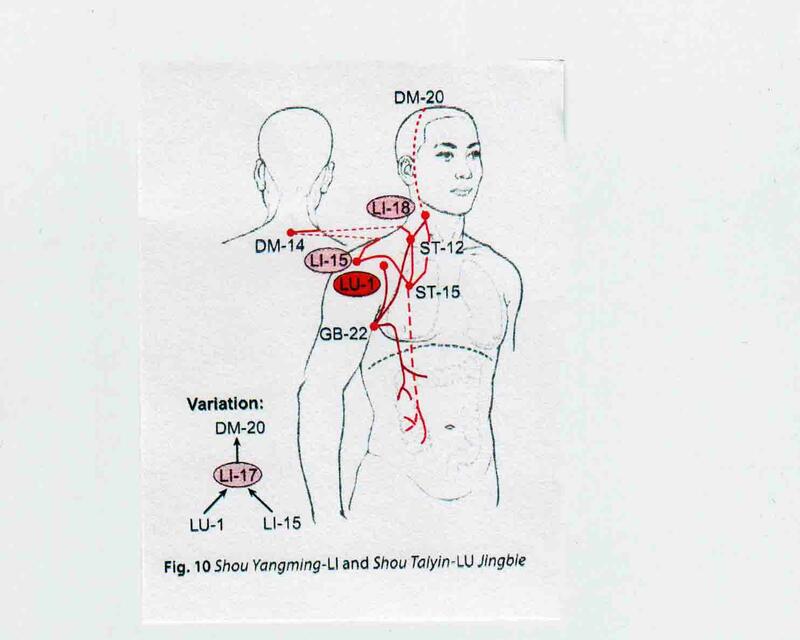 The actually allow interconnection between all the layers of energy and blood flow: the superficial (skin, musculo-tendino and luo-connecting channels), the middle layer (interstitial fascia, the lymphatics, the Primary channels), and the deepest layer: the internal zang-fu organs and the Eight Extraordinary channels (in the TCM orientation). They are involved in pathogenic transmission of disease from the exterior to the organs, and offer a way to make sure pathogens don’t get to the internal zang-fu. Conversely, disruptions in the internal zang-fu can emanate out through the layers to the exterior – think liver toxins affecting the skin. Any disruption in the body – wei, ying, and yuan layers – can be transferred in the Divergent channels. The following observations are from noted scholars in the field of Divergent Channels. Twicken’s clinical experience recommends treating many points along the Divergent channels, up to 8 points to cause a stronger reaction. His recommendations for treatment and diagnosis can be found in his book, The Divergent Channels. Wei qi (defensive energy) basically runs distal to proximal, either in the Primary channel, or with the Divergent channel. The flow of wei qi in the Divergent runs deeper than the Primary. In our previous posting (Part 2 – Historical Development) [link], we touched upon the influences of the Topological Society on Divergent channel application in Japan. I’d like to talk about this in more depth. The Topological Society consisted of acupuncturist-researchers gathered around Yoshio Manaka in the mid-20th century. 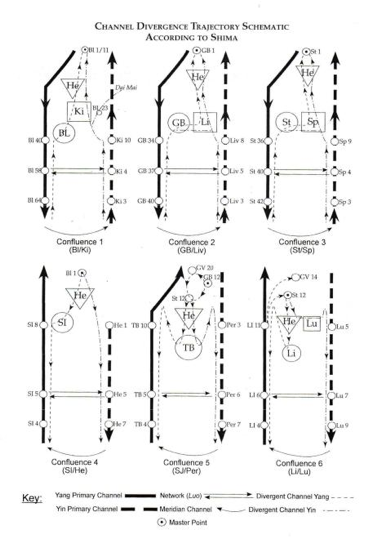 Inspired by both Akabane and Manaka, they independently expanded the frontiers of channel theory and clinical applications of Eight Extraordinary channel theory. Several also instrumental in reviving Divergent channel theory as a viable clinical application. Collectively, they saw Divergent channels as a physically deeper meridian network below the Primary channels. This network carried ying qi as well as yuan and jing qi. They proposed that more acute imbalances show on the Primary channels, while deeper and more chronic, with less severe symptoms, will show on the Divergent channels. Divergent channel treatment was utilized to correct internal zang-fu imbalances, can correct yin-yang partner channel imbalances, and also to deal with pathogenic qi that has lodged deeper in the body. For all these reasons, including Divergent channel treatment is essential in our 3-Level Balance. Participants in the Topological Society created detailed clinical applications for the Divergent channels. Basically, Divergent channel partners could be connected by combining specific extremity points with specific head/neck points. Using Manaka’s palpatory confirmation on the torso and extremities, they confirmed their clinical findings and treatments. For example, they found that unilateral treatments would correct imbalances on both sides. Irie studied with Yoshio Manaka, and became one of the leading voices concerning Divergent channel treatment. Irie established the head and neck master points for the Divergent Confluences, which have continued to stay in use. He proposed that at least two Confluences should be treated at a time. Irie had his own diagnostic feedback system to confirm his discoveries. These involved testing the friction/fluidity when rubbing his thumb and index finger together, similar to rubbing a skin. 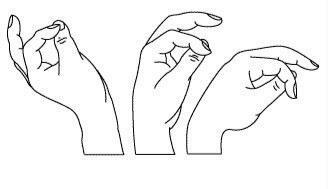 In his method, one uses one hand to touch the acupuncture point or herbal substance. The other hand rubs the index finger over the top of the thumb. Slippery is a good response; sticky is a poor response. One can also do this by rubbing the thumb on the side of the index finger. This is similar in principle to the Toftness technique used by kinesiology-oriented chiropractors. Irie recommended combining the head/neck point with an extremity point of the targeted channel. In this recommendation, Irie basically created our modern Divergent channel treatment. Later practitioners use using ion-pumping cords (IPC) to facilitate and consolidate the treatment, although Irie and even Miki Shima did not. Irie reaffirmed the Chinese classical indication that all Divergent channels had a proximal (superior) direction. When attaching ion-pumping cords between the leg he-sea points (at the knee), we place the black-end on the knee point, and the red-end on the head/neck points. This is in accord with the directional flow. But Irie also insisted that for the arm Divergent channels, the red pole is placed on the elbow he-sea point, and the black on the neck/head point, which seems to run counter to a proximal flow. Irie never explains why, but probably confirmed this via his finger-testing feedback system. One idea is that if the arms are held above the head, the flow would still be going in a proximal direction. This accords with the idea that yin channels flow upwards, from the ground up, and yang channels flow downwards, from heaven above towards the earth, if we hold our arms above our heads. In his 1979 publication, Irie’s diagnosis of which Divergent Confluence to choose was based on symptoms and palpation. If symptoms were diarrhea and abdominal pain, he would assume that this would be the 3rd Confluence (ST-SP). 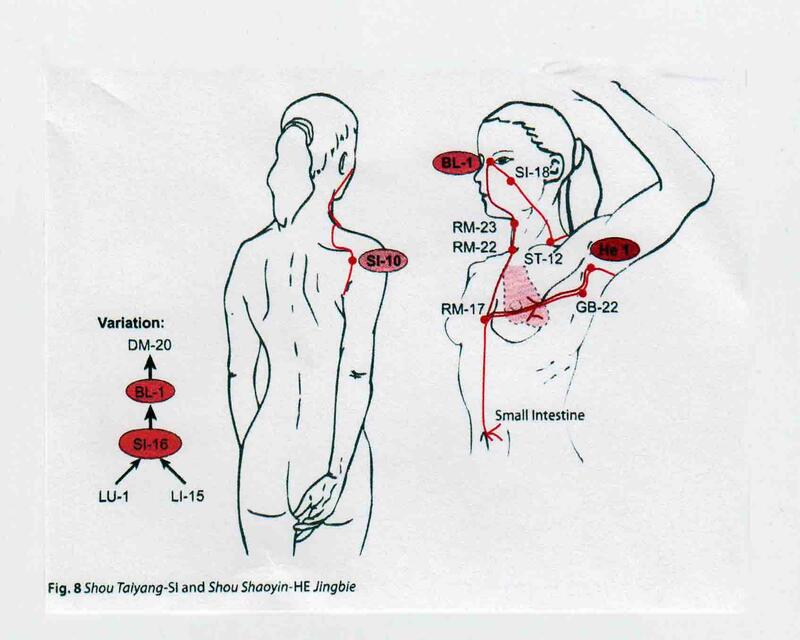 He would then palpate for pressure pain the torso Mu point (ST 25 or LV 13), as well as appropriate diagnostic points on their related channels (eg, SP 3, SP 4 or SP 9, and ST 36, ST 40 and ST 42). In this way he would ascertain which of the paired channel was predominant, eg SP or ST. He would then treat the appropriate head/neck point with the appropriate polarity, and the sore point on the distal extremity. By treating the correct head/neck point, he would automatically direct a balance between the yin and yang paired channels, eg, SP and ST.
Keep in mind that Irie was not committed to using the he-sea points that Shima uses in his SAT protocol, but would choose the sensitive pain/pressure point on the channel as the distal point to treat. In this regard our AcuGraph practitioners can, if they wish, also forgo the recommended he-sea point and use other points of the channel that show up on palpation of muscle-testing. As a footnote, Irie created the Kidney Return protocol that Miki Shima used later. This treats a deep Kidney deficiency, and is seen on many patients with adrenal weakness. Tadashi Irie’s work on Divergents was the most sophisticated and comprehensive of the Topological Society’s contributors. His work profoundly influenced Miki Shima in the development of SAT therapy, and has filtered down to our own work in the 3-Level Balance. Seiki, originally a thoracic surgeon, had a large influence on the Topological Society’s development of Divergent channel therapy. Seki and Irie, in particular, influenced each other, and confirmed each other’s findings. 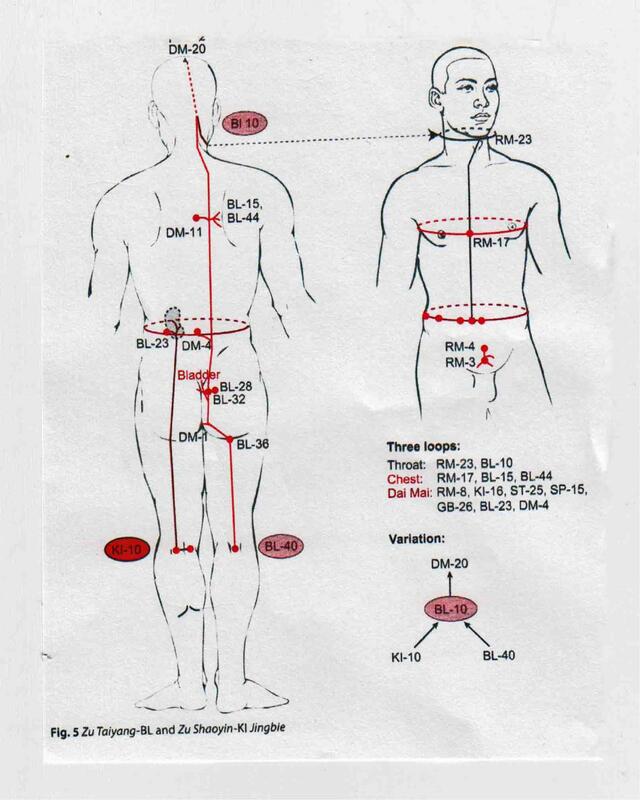 Seki’s selection of Divergent Confluences needing to be treated was based on pulse evaluation combined with pain-pressure reactivity on torso points and corresponding points on the arms and legs known as the Hirata Zones (see Shima and Chace, p. 101). These were in turn directed by the patient’s complaints. For treatment, he would combine Irie’s head/neck points with the corresponding yuan-source point on the related Divergent channel. Seki believed that the yuan-source point would access the original yuan qi, which would then influence the Divergent channel. The author of Modern Electro-Acupuncture Therapeutics (1982), Seki would treat with rather strong electro-stim (7 Hz, 3 v, 5-10 minutes). After choosing the Confluence based on symptoms and palpatory diagnosis, he would choose electrical polarity based on symptoms. For deficiency conditions, he would apply the negative pole to the yuan-source points of both yin and yang channels, and the positive pole to related Back-shu points. For example, in lower back pain, he would apply the negative pole to KI 3 and BL 64, with the positive pole going to BL 28 (or BL 11) and BL 23. If the condition was an excess pattern, he would choose the same points, but use the opposite electrical polarity: positive for the yuan-source points, and negative for the Back-shu points. Seki liked to treat stimulate either GV 20 (for the yang channels) or CV 22 (for the yin channels) on most patients. As he got older, he abandoned face and neck points altogether, and relied on GV 20 and CV 22 exclusively as Head master points. Seki later evolved to the point of using an ion-pumping cord to connect GV 20 to CV 22, using the patient’s O-ring test to determine polarity direction. The technique of connecting GV 20 and CV 22 has survived in Miki Shima’s SAT protocol, as well our 3-Level protocol. Miki, who used silver and gold needles, would direct the qi from GV 20 towards CV 22. He felt most people had excess in the du mai, and deficiency in the ren mai. In our 3-Level protocol, I usually follow Miki’s lead, connecting GV 20 with an IPC (black) to CV 22 (red). This leads the qi forward in the microcosmic orbit, immediately regulating the yang and the yin. This promotes patient relaxation, and allows the brain to calm down. Naomoto was an electrical engineer who built many of Manaka’s electrical acupuncture machines. His writings contributed to the Topological Society’s clinical application of Divergent channel therapy. His primary diagnostic tool placed six different tuning forks on the palm of the patient, which he correlated with the Six Confluences. He then compared symptom and history to make his diagnosis. He also used facial diagnosis, abdominal palpation, O-ring testing, and range of motion before and after treatment. He may have been the first of the Japanese to promote Nogier’s ear acupuncture as an adjunct treatment. Naomoto promoted a Divergent channel protocol different from that of Kodo Seki. Whereas Seki, and others, utilized the head/neck points to connect the Divergent channel pair, Naomoto promoted a treatment that used the Midday-Midnight channel as the distal point. He would use his various diagnostic methods to determine the primary Confluence, and whether the yang or yin channel in a Confluence was the priority. He then chose the opposing channel on the Chinese clock as his combined point (instead of the head/neck point). For example, if BL-KI (Confluence 1) is chosen, a needle is placed unilaterally on either the BL channel or the KI channel, depending on various diagnostic parameters. The opposite channel to the yin channel of the Confluence is chosen on the opposite limb, in this case LI. He would use an ion-pumping cord in this way: for the first 3 Confluences, the channel divergence point is (-), and the opposite bio-clock point is (+). For the second 3 Confluences, the channel divergence point is (+) and the opposite bio-clock point is (-). These pairings can be used by AcuGraph users as an alternative to the Divergent menu recommendation. Miki Shima, working in California, took the work of Yoshio Manaka and the Topological Society, including Irie, Seki and Naomoto, and integrated their approach, with his own discoveries, into the SAT (Somato-Auricular Therapy). Dr. Shima was first exposed to this work with the publication, in 1978, by Tadashi Irie’s articles in Ido-no-Nippon-Sha (Journal of Japanese Acupuncture and Moxibustion). Irie’s 1979 publication on Divergent channels defined the Master points on the head and neck. Shima brought Irie to the US to teach, and they created a close bond. When Shima expressed frustration at lack of a efficient diagnostic test for Divergent channel disorders, Irie suggested that Miki look into Akabane’s diagnostic method with incense and jing-well points. Miki pursued this, in the process coming up with a way to diagnose not only Divergent channel imbalances, but Eight Extra Channel treatment as well. He also took note of Naomoto’s interest in auricular therapy, which would become a cornerstone of his the SAT approach. Through his own clinical experience gathered in the 1980s, Dr. Shima determined that Irie’s Confluence head/neck points were preferable to Naomoto’s Midday-Midnight approach. He also settled on the he-sea points of the knee and elbow as the most clinically effective points. He felt that the qi of the channels dives deeper into the bodyat the he-sea points, and best influences the qi in the Divergent channels as it goes towards the zang-fu level. Dr. Shima opposed Seki’s selection of yuan-source points as master points for the Divergents. 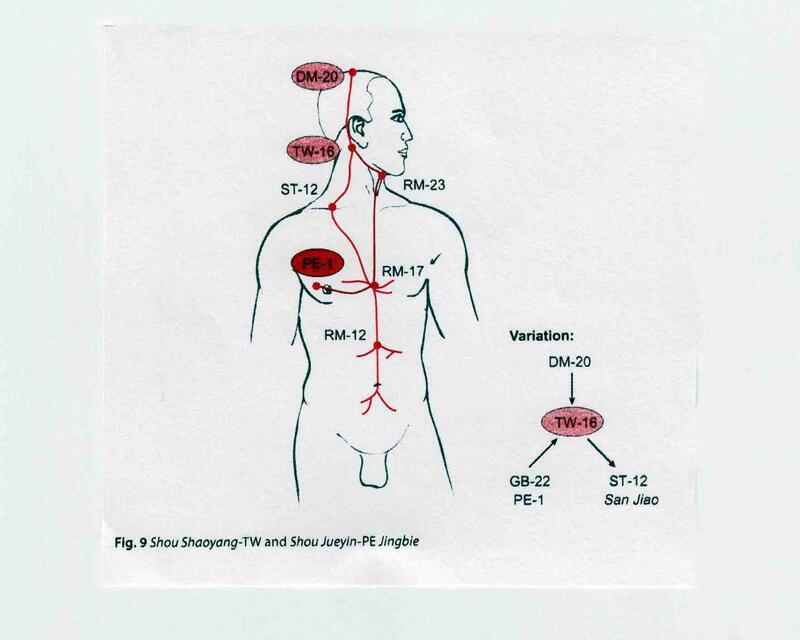 The Nan Jing (66th chapter) stated that the yuan-source points are a way the yuan qi is distributed to the distal extremities. Shima felt these were too weak to distribute the deeper qi of the Divergents. Dr. Shima settled on the following point choices for Divergent treatment. 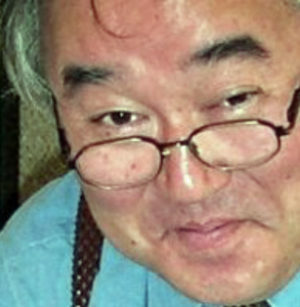 Miki Shima relied heavily on Akabane testing, although he would confirm, or otherwise change his findings, based on palpatory diagnosis on the channels or on the torso, as well as take into consideration the clinical and symptomatic manifestations. But Akabane testing remained the foundation of his diagnosis, and our transposition of these findings into the AcuGraph form the basis of final point recommendations. In traditional Akabane testing, an incense stick is swiped gently across the jing-well point for each meridian. The number of strokes is counted until the patient feels a burning heat sensation. 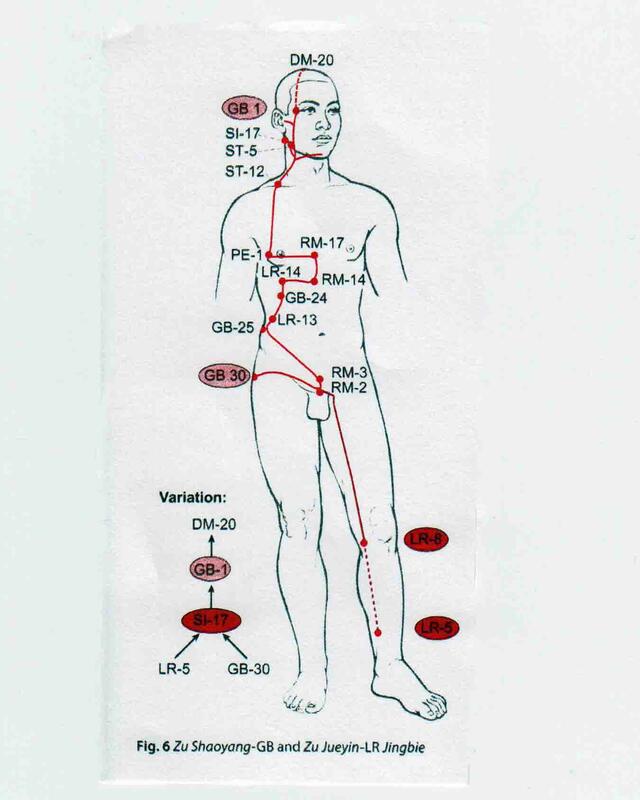 These numbers are recorded for each channel, and each side of the body. Shima, and Akabane, were concerned with the amount of yang energy in each channel, with pathology ensuing when the yang qi was excessive or deficient. In the AcuGraph testing, we are measuring the amount of qi energy in the channel, not necessarily whether it’s yang energy or not. Also, we are measuring at the yuan-source points, not the jing-well points. So said, once we have our findings on the AcuGraph, we are following Shima’s calculations to finalize the reading. 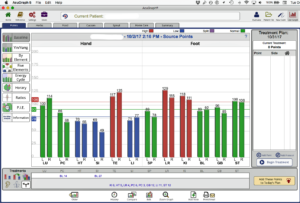 In a future blog, I will explain how Dr. Shima utilized the Akabane readings to dictate point selection for both the Divergent channel treatment and the Eight Extraordinary channel treatment. This is essentially the same procedure that Dr. Larsen used when creating the computerized readings. 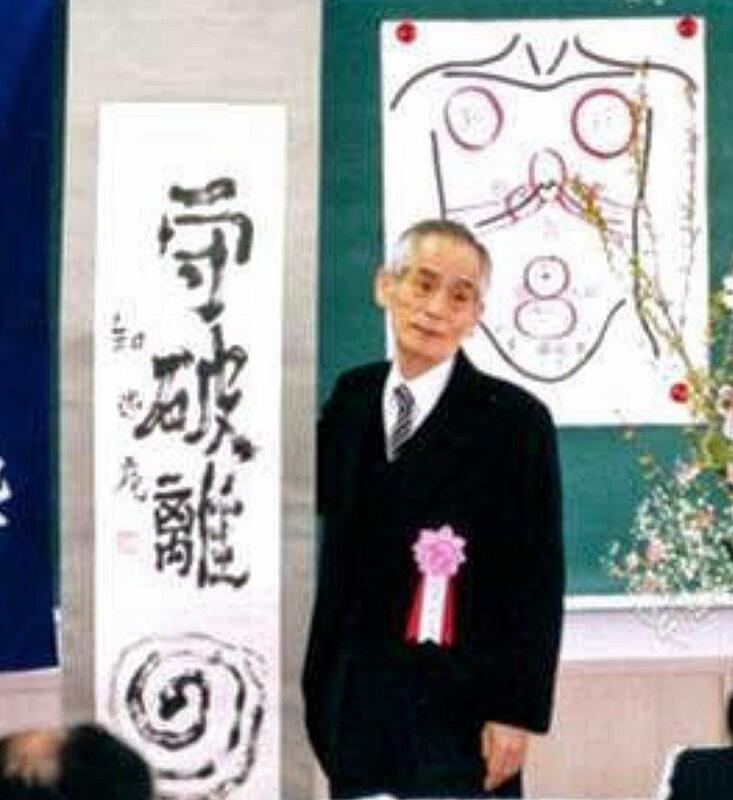 After taking his Akabane readings and doing the calculations, Dr. Shima began his treatments first by clearing excesses and kori along the channels or abdomen with ses-sho-ku-shin manual techniques. He would then look at the Shu meridian pair to see the greatest divergence, and treat the weakest point on the weakest side, with either direct moxa or an intradermal needle. For treatment of the 8 Extra and Divergents, he would follow Seki’s method. For the prioritized Confluences, he would needle the he-sea point of the yang channel on one side, and the he-sea point for the yin channel on the other side, using (-) for knee he-sea points, and (+) for elbow he-sea points. The head/neck point would use the opposite polarity. The head/neck point would be unilateral, on the side of the yang channel. For example, for the 2nd Confluence, he would needle GB 34 (-) on one side, LV 8 (-) on the other side, and GB 1 (+) on the same side as the yang channel, the side where GB 34 was placed. AcuGraph users might choose this method, attaching two IPC, one from each he-sea point to the unilateral head/neck point. In my own practice, I find I am doing the he-sea point on the opposite limb, but not connecting with another IPC. Too many cords! Shima did not use ion-pumping cords, preferring instead to use gold needles (+) and silver needles (-). He would often treat two or even three Confluences at the same time, and follow this with the Eight Extra channel treatment. He often used electro-stim, but not in weakened or hypersensitive patients. 40, leading to BL 23 (+) and BL 11 (+). He chose to use 1 Hz, 5-10 milliamps, for 10 minutes. In our 3-Level Protocol, this can also be done with IPC, or a combined electro-stim and IPC (BL 40 (-) > BL 23 (+) with electro stim; BL 40 (-) to BL 11 (+) with IPC). Dr. Shima had many approaches in his tool chest, and was not rigid in his applications. A good number of case histories are included in his book, The Channel Divergences. Our goal in assessing the Divergent Confluences is to see which yin-yang partners are most out of balance, and to repair that with a Divergent treatment. The strategy is to choose the weakest of the two partners, and to hook that up to its head/neck meeting point. That will allow the partner, which is in excess, to flow into the most deficient of the paired channels. For each recommended pair, there will be one he-sea point, coupled with a head or neck point. The he-sea point is on the affected channel (the weaker of the yin-yang Confluence pairs), but a single head or neck point, which is the meeting point for the two partners, is used by both partners in a Confluence. If PC 3 and GB 12 are the indicated points on the AcuGraph Divergent menu, it means that PC is the weaker of the yin-yang pair, and PC 3 is the extremity he-sea point. If TE was the weaker of the pair, then TE 10, the he-sea point, would be used, also with GB 12 as the head/neck point. But don’t consider GB 12 as the partner. It is the distal joining point, which is usually on an unrelated channel. Finally, the AcuGraph menu dictates which side of the body should be used. Two Confluences are always indicated. Sometimes it is recommend putting both treatments on the same side, which for purposes of balance, I usually don’t agree with. I would like to see one Confluence treated on one side, and the other Confluence treated on the other side. What I would recommend is to look at those two pairs in a Confluence (by going to the “By Element” menu on the upper left side), and see if we can put one of the pairs on the other side. If possible, support the treatment by choosing the he-sea point of the partner channel. For example, if PC 3 is treated on the left, treat TE 10 on the right. This will support the whole Divergent treatment. By including the Divergent channel treatment with the Eight Extraordinary and Primary Channel treatments, using ion-pumping cords, we are creating a deep balance and invigorating the qi and blood in the body, using a minimum of needles. In out next posting, we will look at the history and methods for balancing the Primary channel network.